I'm hoping someone can help my identify what model my subaru is. 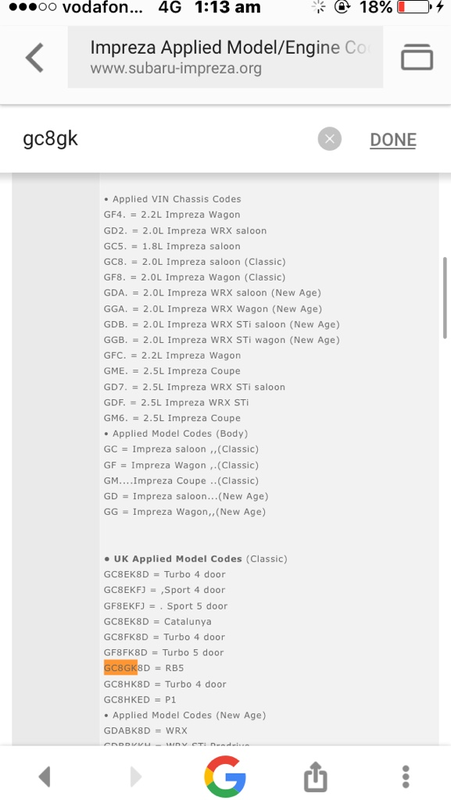 Ive been told so many different things (RS, SPORTS, STI etc) Here is my VIN & Model Code etc. 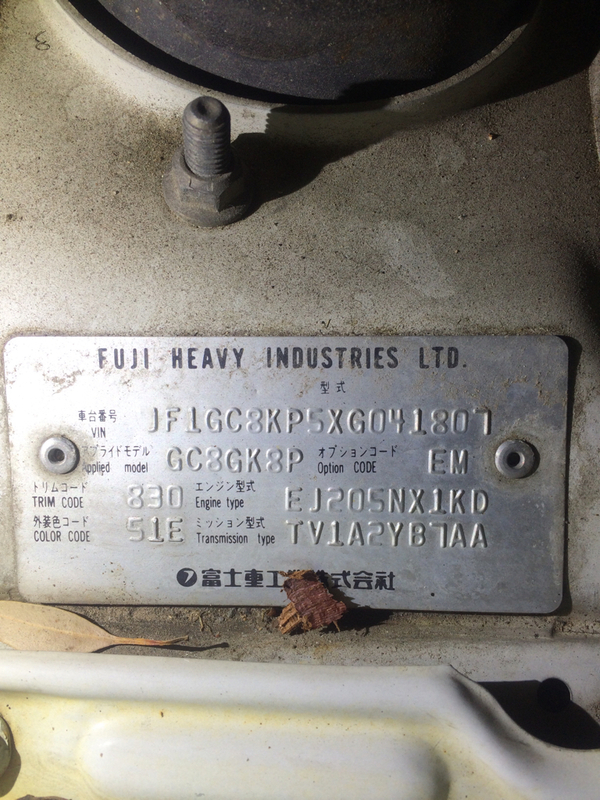 I cannot find the applied model number listed anywhere online, but so many similar GC.... models etc. not sure if its because its an import, or a rare model. Also would help me know how customised any of the car could be. I do not know very much about cars, so I'm quite stuck! It has had an Engine Swap, (203) so I have a different Engine Number. I can't match the "EM" code to anything else either!! Thanks guys, any help would be appreciated!